[SatNews] NSR’s Linear TV via Satellite: DTH, OTT & IPTV, 8th Edition, provides industry-leading analysis of the global satellite TV market, including analysis for all 10 regions and across all channel types and capacity. Where will growth for DTH platforms, channels and capacity occur over the next decade? Where are the trouble spots? How soon will UltraHD content become the norm, and where will the highest (and lowest) growth lie? What impact will OTT, IPTV and DTT platforms have on the growth of the DTH sector? 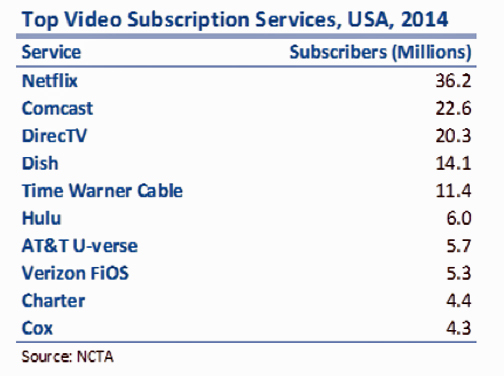 Will the global rollout of fiber result in an increase of the subscriber base for Pay TV platforms, or cannibalize existing DTH and Cable TV platforms? What is the best tradeoff regionally - more SD channels, or less content on higher value HD and UltraHD channels? 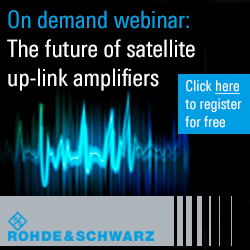 How does the financial status of DTH providers affect leasing agreements with satellite operators? What role will traditional TV platforms have in the increasing internationalization of Netflix and Amazon Prime type services? DTH, Cable TV and other payTV and free-to-air platforms are beginning to witness the commoditization of video content and are looking at ways to differentiate themselves in the market. With the satellite video industry at the beginning of huge changes ahead, including the introduction of more OTT and IPTV platforms and the introduction of the availability of 24-hour UltraHD channels in 2014, Linear TV 8 examines what these changes mean and provides a breakdown of the impact on DTH platforms in terms of channel growth and revenues, segmented regionally. With more ways to watch this content than ever before, and seemingly ever more competition present, Linear TV 8 provides exceptional guidance through the exciting and daunting new era of video broadcasting, crafting a comprehensive picture of the DTH and Video Distribution via Satellite markets by region, frequency band and channel type annually from 2014 to 2024. Linear TV 8 brings the reader up to speed on the industry’s latest developments, bringing what seems to be an unfathomably complicated and broad market at first glance to one that can be easily understood by all.